This book contains a story and several other things. The other things might be connected with the story, or they might not; they might be connected to stories that haven't appeared yet . 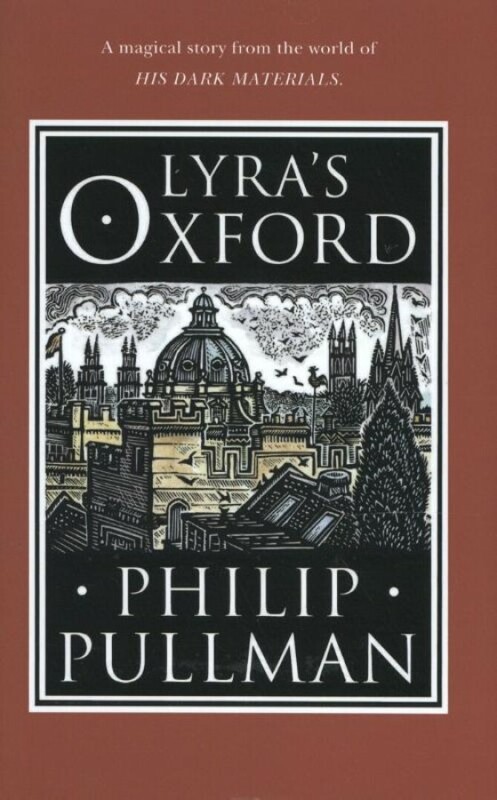 . .
Two years after the conclusion of The Amber Spyglass, Lyra and her daemon Pantalaimon sit high on the roof of Jordan College, gazing down on the streets of Oxford. But their peace is shattered by a flock of enraged starlings, who seem intent on knocking another bird out of the sky - a bird that Lyra and Pan quickly realise is a witch's daemon. The daemon carries worrying tidings of a terrible sickness spreading in the north, and claims that only Lyra can help him - but is he really friend, or foe? Illustrated throughout with exquisite wood-cut engravings by John Lawrence, this beautifully packaged story also contains an extract of Pullman's second short story set in the His Dark Materials world, Once Upon a Time in the North, a map and other missives that seem to have slipped from Lyra's world into our own.